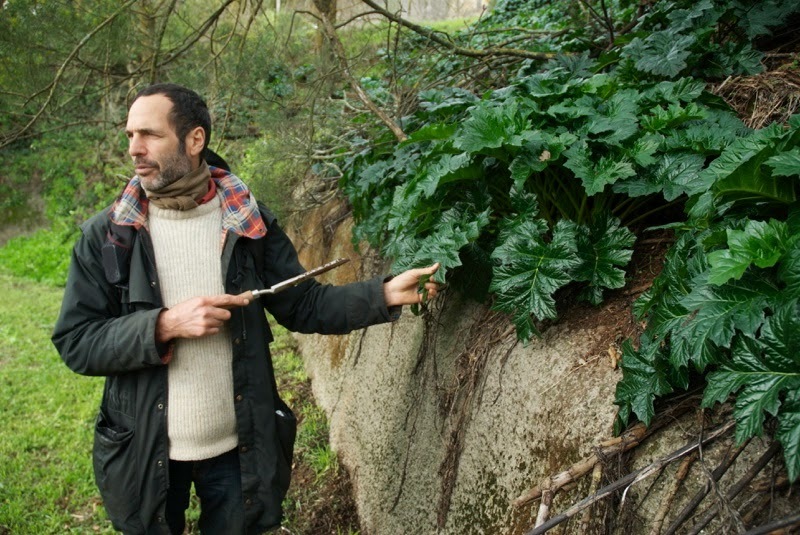 Patrick is taking small groups out every Saturday morning in Daylesford to teach the art of finding free food. Between 20 and 30 species is typically what's found. These will revolutionise your kitchen and add richly to your preventative medicine cabinet. 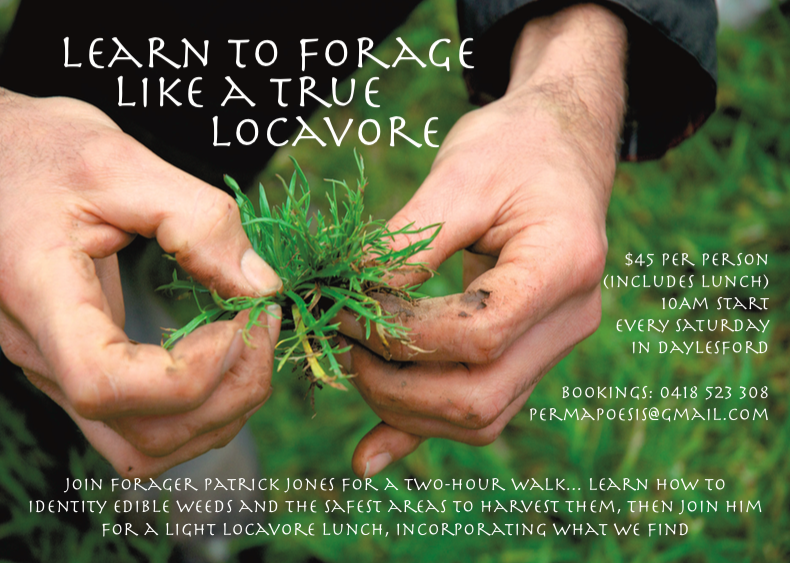 Patrick teaches you how, what and where to forage. 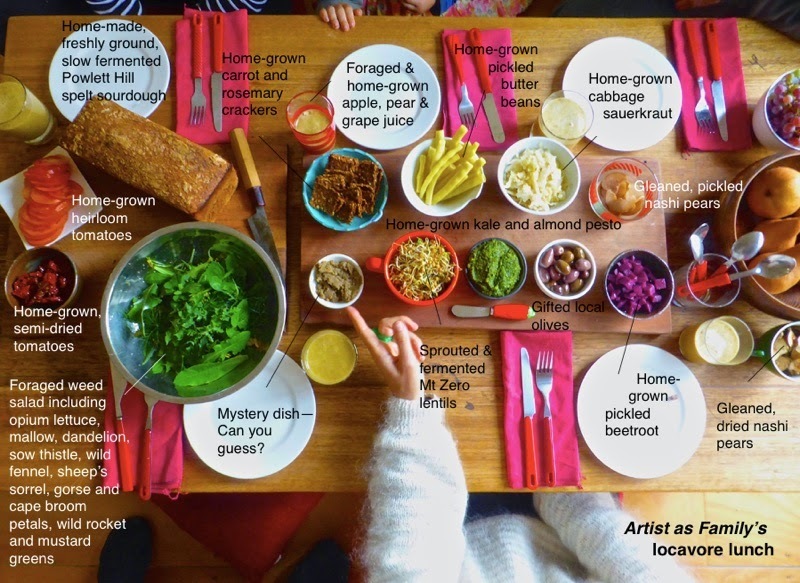 After a two-hour walk join Artist as Family for a light locavore lunch including a foraged salad from the walk, Meg's ferments and pickles, Patrick's slow-fermented spelt sourdough, produce from our garden, bush tucker, teas, weed juices and more. This is the table after our 9 delightful guests left today. 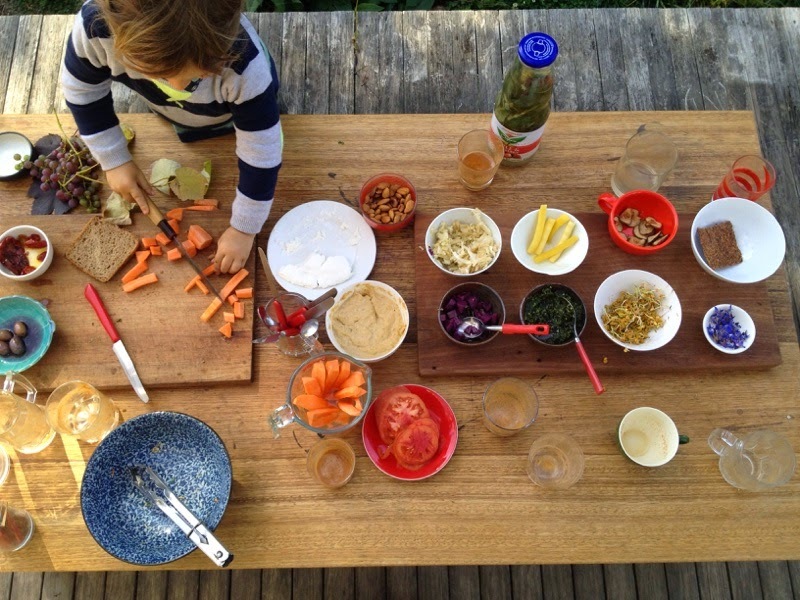 Today's lunch—with everything made at home—included slow-juiced apples, spelt sourdough, a raw milk fresh cheese, a pesto of kale, almond and oregano, pickled butter beans, pickled beetroot, fermented sprouts, olives, sauerkraut, carrot pulp, rosemary and flaxseed crackers, semi-dried tomatoes, fresh tomatoes, dried nashi pears, and a salad of dandelion, mallow, wild fennel, sheep's sorrel, wild mustard, sow thistle, vetch, calendula and borage flowers. Meg will be taking fermenting workshops shortly, so stay tuned for these forthcoming bubbling sessions.